“We are still in shock. 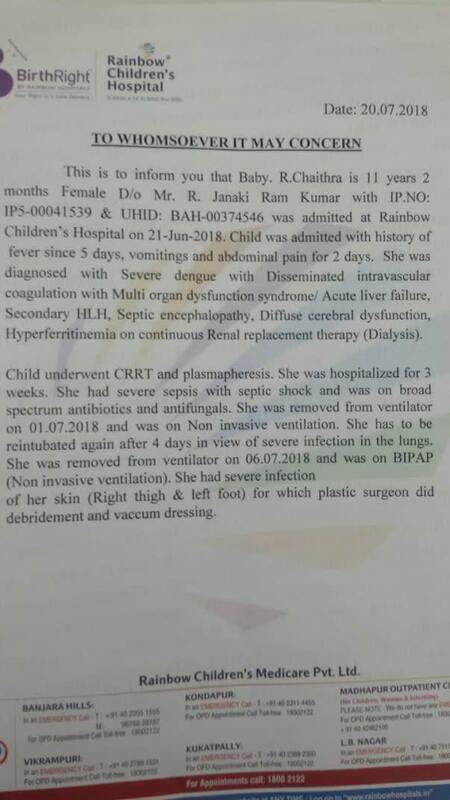 Our daughter needs support to breathe, dialysis and has even undergone plastic surgery because her flesh was infected due to prolonged IV needle use. 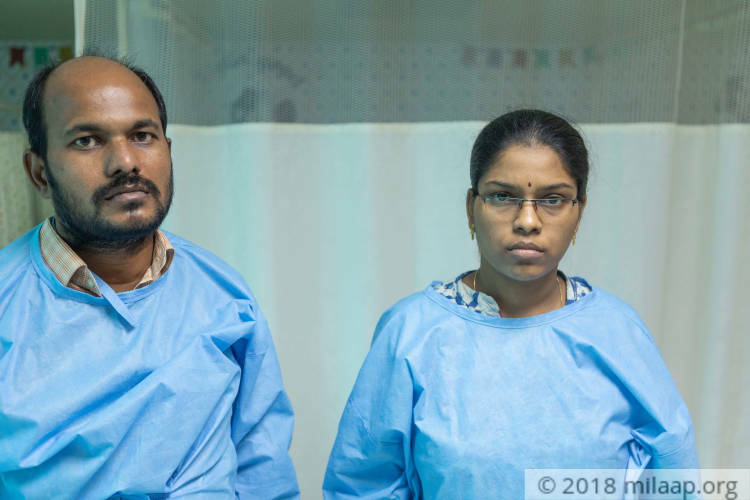 She became critical in just four days.” – Ramkumar, Chaithra's father. 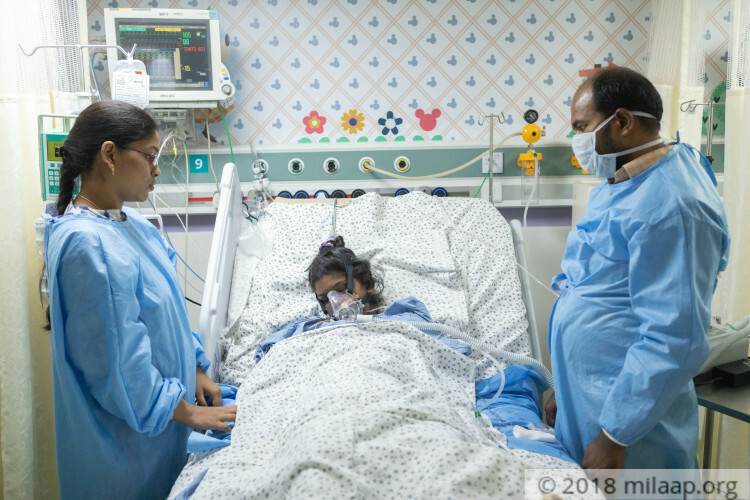 Chaithra's fever started on June 16 and when her parents took her to the doctor in their village, they were assured it was just a viral fever. In four days, her organs started failing and her dengue was finally identified. 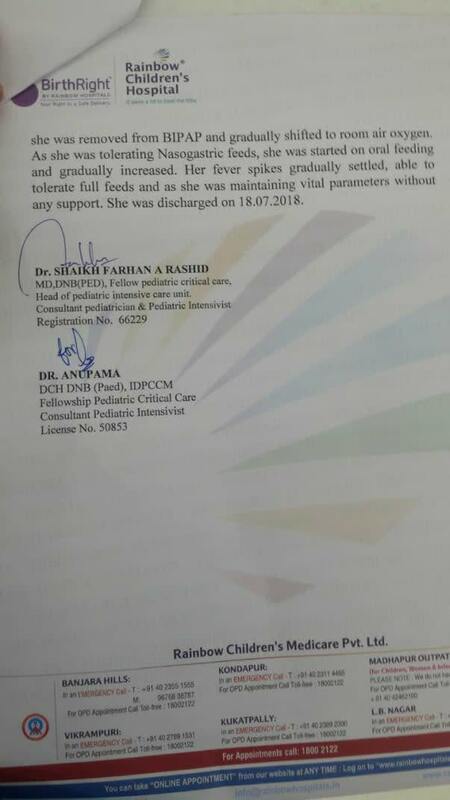 Unfortunately, her condition has become too critical and she was rushed to Hyderabad. 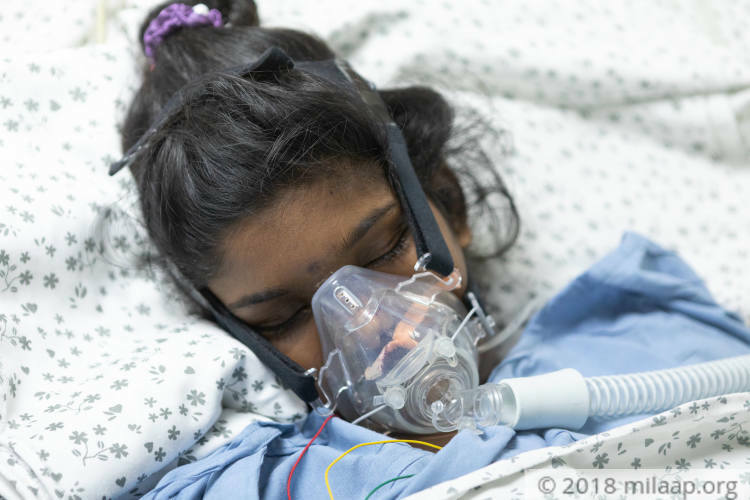 Chaithra is still in a lot of danger and her parents need help saving her. 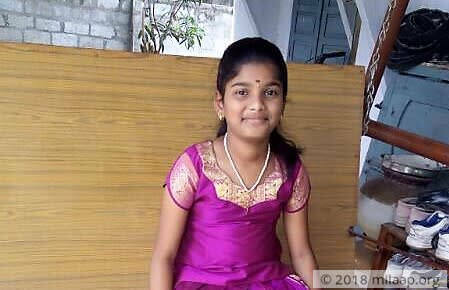 Chaithra is a class 6 student from Parkal, Warangal. She opened her eyes two days back and still believes she is in Warangal because she has no memory of coming to Hyderabad. Even now, she is unable to stay awake for too long, drifting in and out of a fevered haze. Chaithra's waking has brought crashing relief for her parents. “Chaithra is still critical and still can't breathe. But since she opened her eyes, her mother and I at least feel some hope. We have been able to calm ourselves a little. Our daughter needs us. Our 4-year-old son is with his aunt, and he keeps calling asking to see his sister. We have to do what we can.” – Ramkumar. Chaithra's father is a school teacher and this emergency caught him completely unprepared. 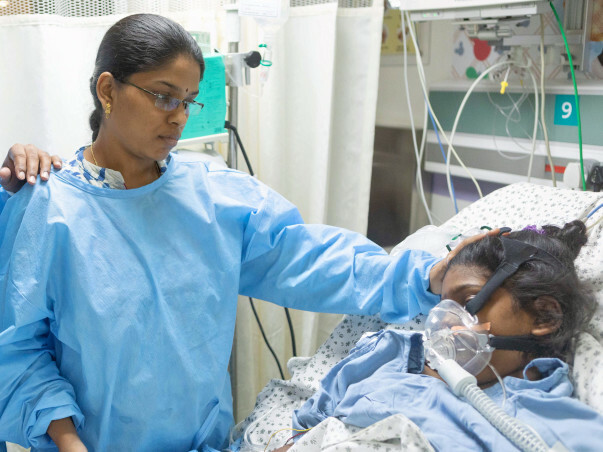 Chaithra has been in the ICU for over 20 days now and has undergone intensive treatment. 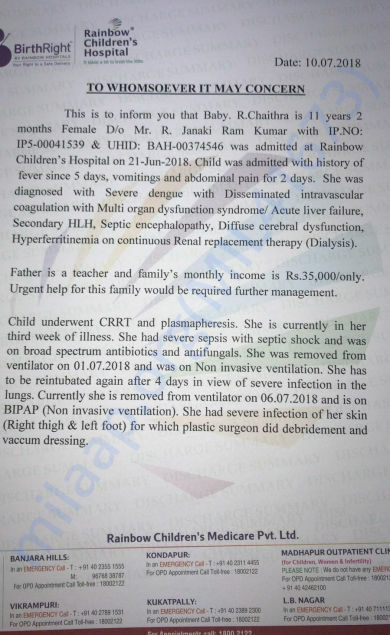 Her father Ramkumar has spent all his savings and borrowed close to Rs 22 lakhs to keep the treatment going. 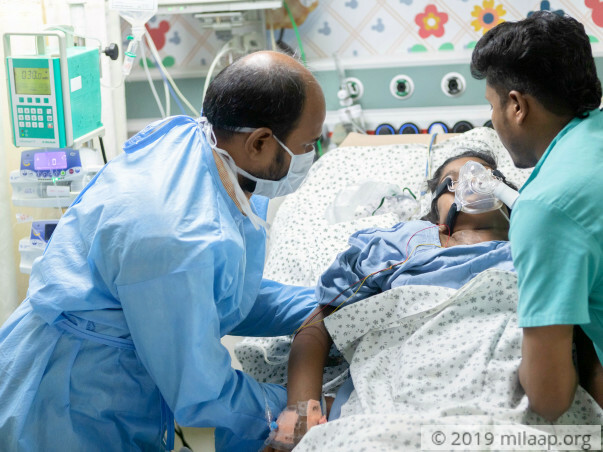 Chaithra is still in danger and needs at least 10 more days of treatment, but her father has exhausted all his resources. Through no fault of hers, Chaithra is fighting a battle for her life. She needs critical care and strong antibiotics to fight off the infection. Her parents have been running from pillar to post trying to save her in the last 20 days. They are emotionally and financially broken. Without help, they will have to stop Chaithra's treatment. Thank you for the wonderful support you have shown towards Chaithra. Chaithra got discharged from the hospital, she responded well to the treatment and is doing a lot better now. She underwent the surgery and skin grafting was successfully done. The stitches have also been removed. She has to visit the hospital for weekly follow-ups. Doctors are of the opinion that there are good signs of improvement and she will recover soon. 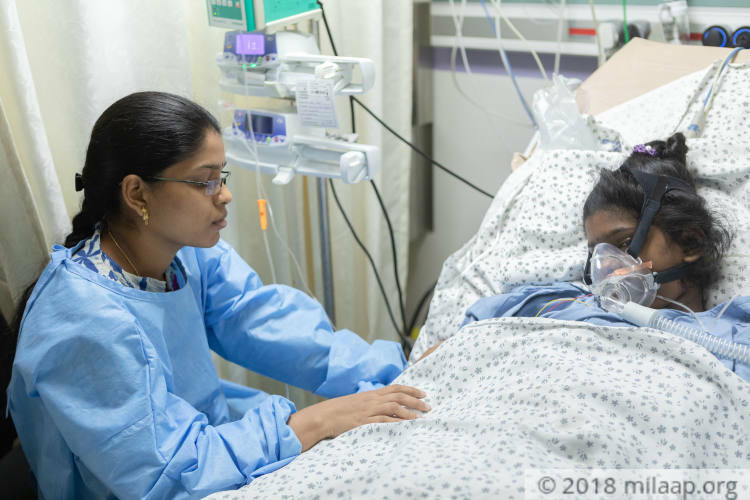 Chaithra was discharged from the hospital and she is currently at home. She is on bed rest and off ventilator support and dialysis. There is a surgery scheduled for her in the coming week. We're really thankful to each one of you for the love and support which you have shown towards her, we shall keep you all posted. Thank you for the wonderful support that you have shown towards Chaithra. She is doing better now compared to earlier. She was hospitalised for multi-organ failure and the doctors were treating her for the same. She underwent dialysis to support her kidney functions. She was hospitalised and needed ventilator support for about three weeks. Her health slowly stabilised and she was under constant observation. 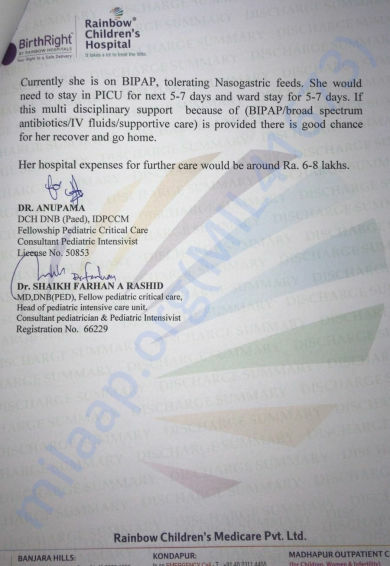 Her fever also reduced and she was discharged from the hospital and advised regular follow-ups. Thank you for the wonderful support. Do pray for her health and speedy recovery. Get well soon,baby.Beautiful world is awaiting you.